Eric Church Pop-Up Shop to Return for #CMAFest 2018! Eric Church will be opening his Pop-Up Shop during CMA Fest for the 4th consecutive year. The shop will be located at the Flying Saucer (111 10th Ave S) which is about a mile from the Music City Center! 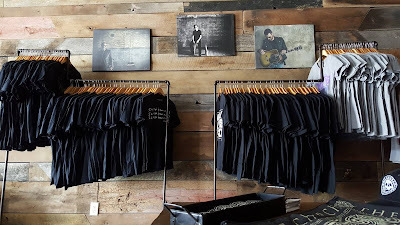 Visit the Eric Church Pop-Up Store to find exclusive and custom merchandise sold just for this store! Hurry in because quantities are limited and you can't find this merch anywhere else!